Got a pair of old shoes you don’t know what to do with? Or maybe a new pair you’ve decided just aren’t your style anymore? Or maybe a really ugly pair someone gave you for your birthday? 44th Street’s Amelia Rivera is spearheading a great program, collecting new or used shoes for a charity aptly named Shoes 2 Share. 44th street: 36 West 44th Street (between 5th and 6th Ave), Suite 403. 56th street: 120 East 56th Street (between Park and Lexington Ave), Suite 1010. 84th street: 245 East 84th street (between 2nd and 3rd Avenue). Chelsea: 269 West 16th Street, between 7th and 8th Avenue. Collection begins on Monday, July 15th and ends Friday, August 30th. You can drop your shoes off with any of our care coordinators at each location. SPEAR is always in the mood for a little friendly competition, so each of our locations will be competing to see which site collects the most shoes. 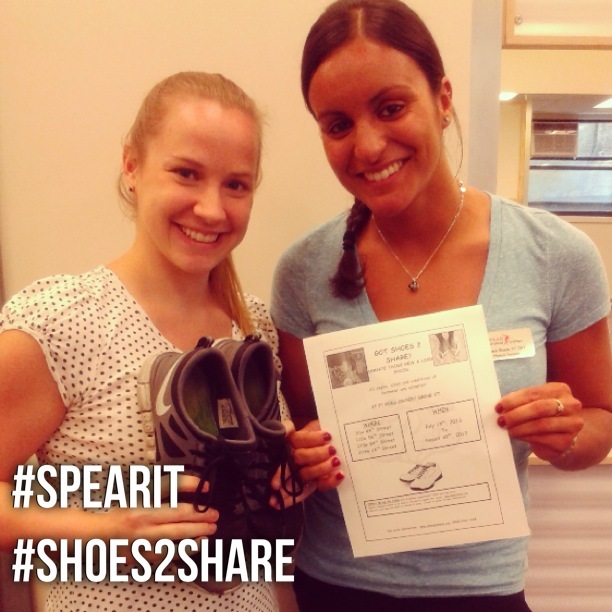 Patients, you can support your location by dropping your shoes off at your favorite SPEAR site! Feel free to take pictures of your donations and post them to instragram or Facebook with the hashtags #shoes2share and #SPEARIT. Amelia hopes to collect a wide variety of shoes that can benefit others in need.